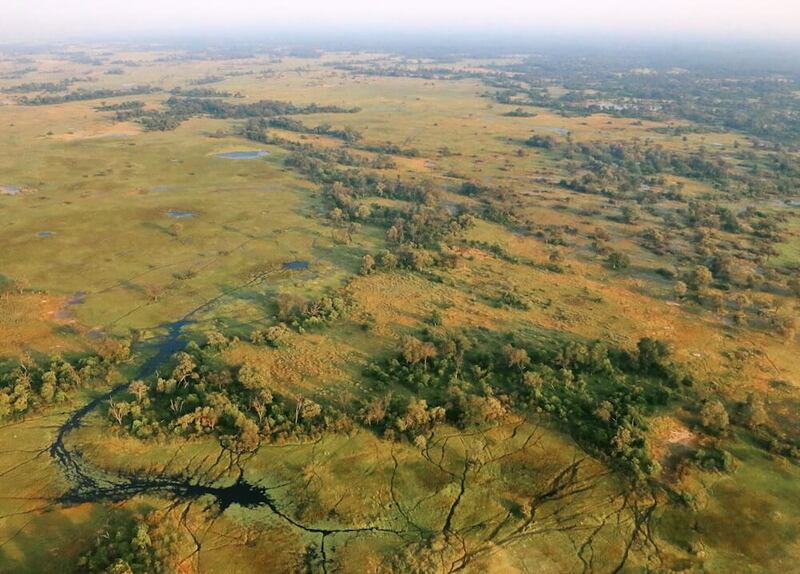 If you’ve been forever dreaming of an iconic Okavango Delta experience, then end your search with Tuludi. 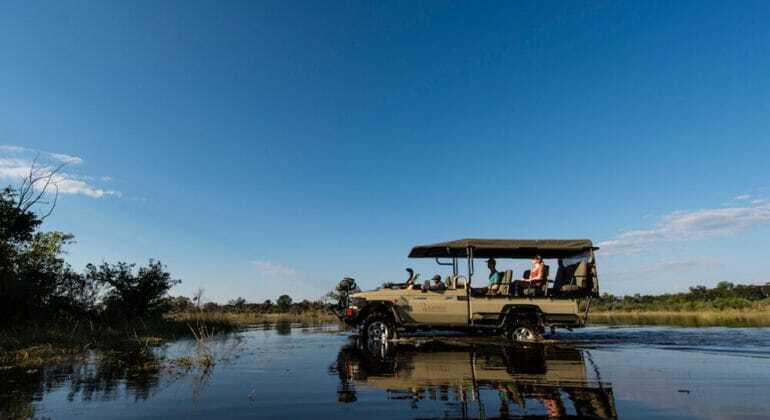 The camp is located in the Khwai Private Reserve, over 200,000 hectares of pristine wilderness, and the landscape is fit for a fairy tale: floodplains stretch as far as the eye can see and the glistening waterways and emerald forests attract all the stars of the safari show. Tuludi reflectS the space and freedom of the surroundings and the high, pitched canvas roofs of the bedrooms create light and airy spaces to retreat to at the end of a busy day in Khwai. The fact that each tented room is a wonderful 60 square metres in size also helps! 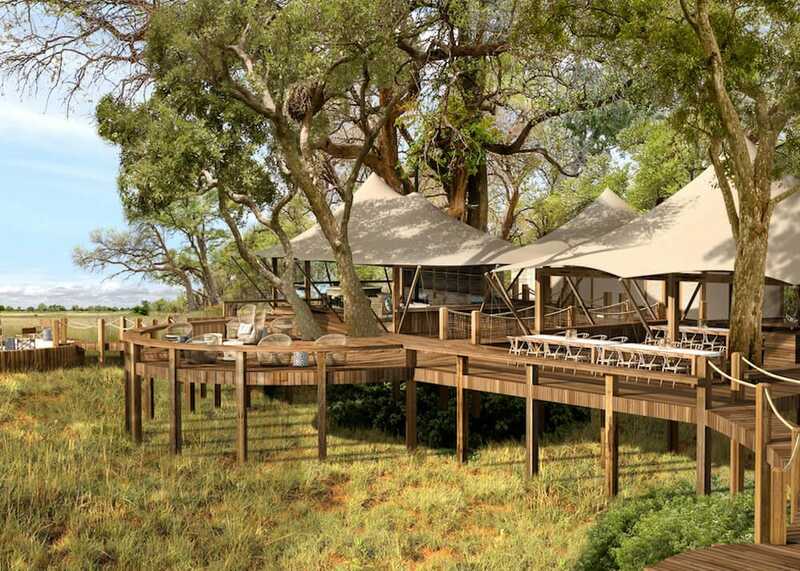 Wooden boardwalks wind through the leadwood trees to connect the seven ‘treehouse-style’ tents and each is kept cool by the shady boughs. 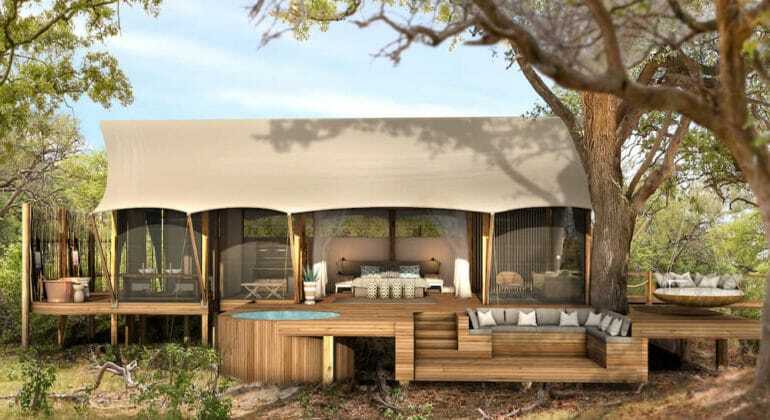 Inside, the earthy palette is sophisticated and warm and you’ll find separate dressing and sleeping areas, an ensuite bathroom, indoor and outdoor showers, and splashy bathtubs. 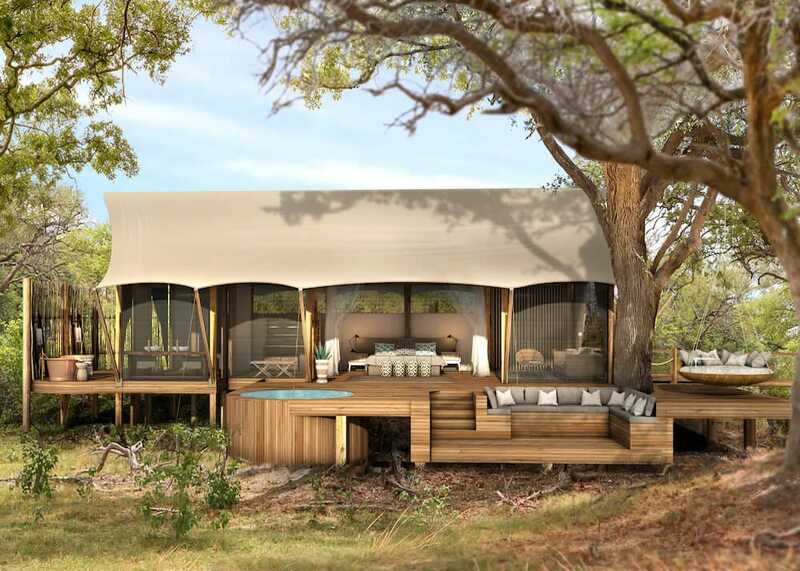 If that wasn’t enough space to relax, there’s also a sunken seating area and a private plunge pool on the outside veranda, both overlooking those enormous floodplains. Sophisticated, intimate and with every detail attended to, Tuludi offers an iconic Delta experience in the most refined of surroundings. 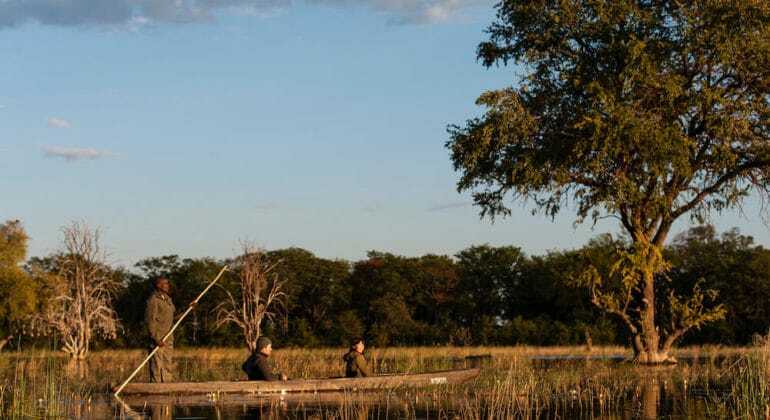 Enjoy the space and serenity of an exclusive private reserve on the fringes of the Okavango Delta with only a handful of camps in over 200,000 hectares. 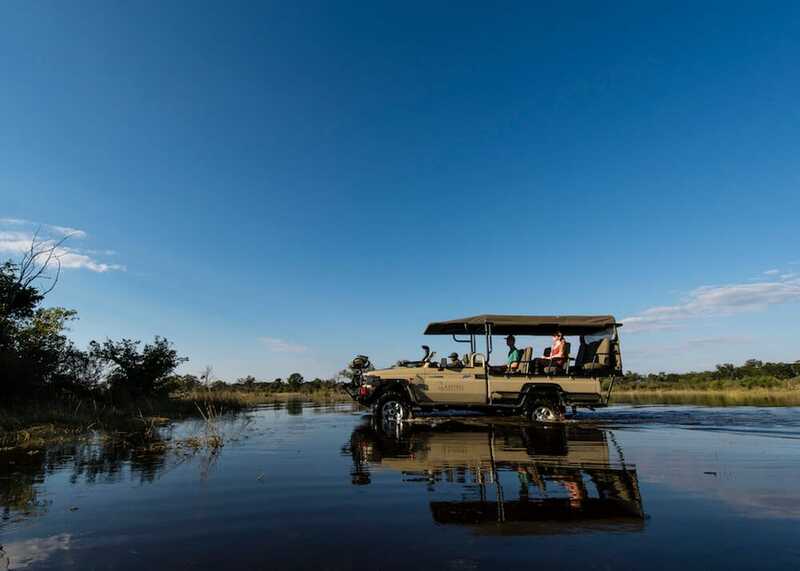 No day will be the same at Tuludi, and with game drives, walking safaris and fantastic water-based game viewing on offer; you’ll discover the best of the Delta. 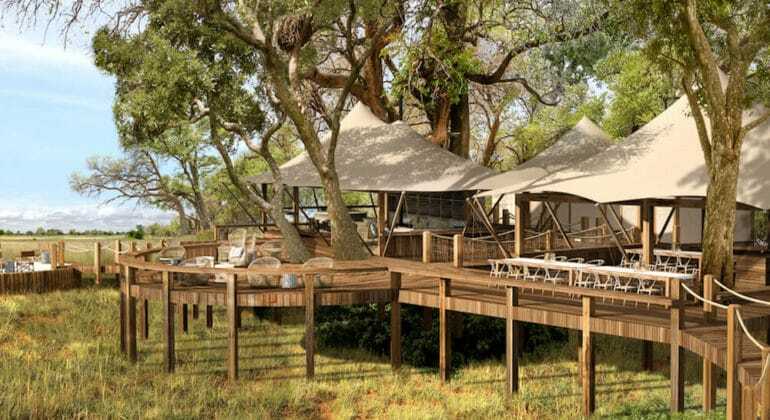 Turn your safari into a real holiday and spend some time relaxing in camp. With a large swimming pool at the main area, a plunge pool at your room and a treehouse library, there are plenty of places for a spot of chill out time. 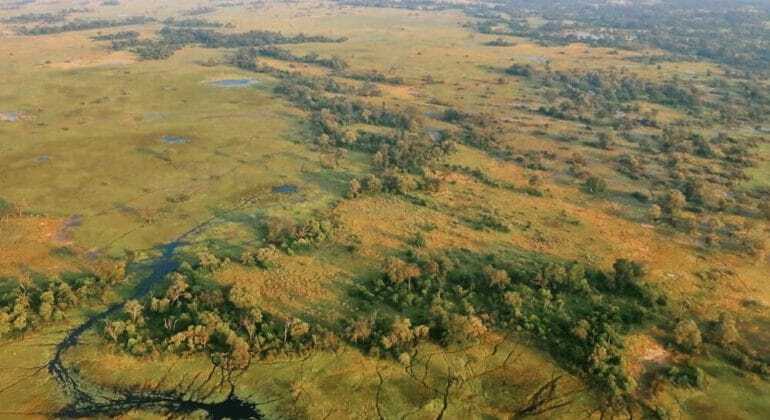 Be part of conservation in action: the Khwai Private Reserve is a private concession from which proceeds go straight back into the eco-tourism initiatives of the area and to the surrounding communities. 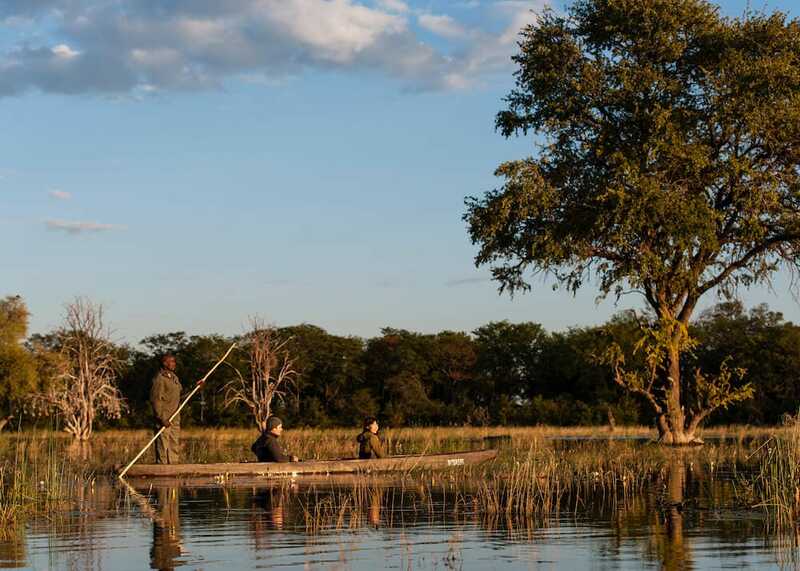 Tuludi rates include: accommodation, all meals, & beverages, guest laundry, daily activities, expert guiding, park entry fees & VAT. Children 6 years and over are welcome at Tuludi.